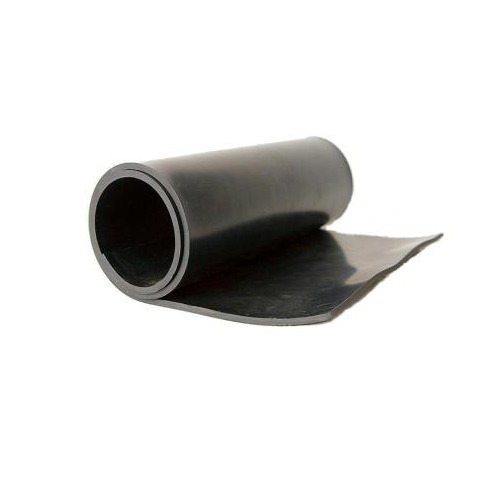 Our range of products include natural rubber sheets, nitrile rubber sheet, conductive rubber sheet, diaphragm rubber sheets and viton rubber sheet. Natural Rubber Sheet is derived from latex liquid extracted from rubber trees. This rubber has excellent mechanical properties, low compression set and high resilience. It also has excellent dynamic and rebound properties. It is available in varied range of hardness's from 30° to 85° Shore A. It also has good resistance to acids, alkali and salt. It is not recommended for use in areas where it could come in contact with oils and hydrocarbons. They are special purpose high abrasion resistant rubber, made from premium quality Natural Rubber with outstanding resistance to cut, tear and abrasion used for anti- abrasion rubber lining also for material handling in mining. Applications: Used as skirt-board sheets, bearing pads, shot blasting sheets, high tensile applications and commercial usage with & without insertion. 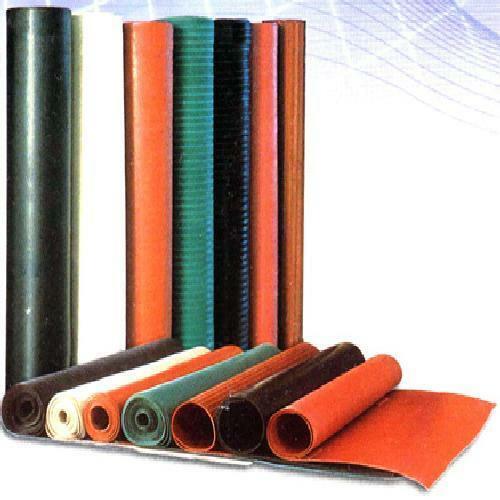 We are manufacturer and exporter of Nitrile Rubber Sheet is a co-polymer of butadiene. It has good general resistance to oil along with good mechanical properties, especially tensile strength, flexibility, compression set and impermeability to gases. It has moderate ageing properties and good adhesion to metal. It also displays a good resistance to chlorine. It gives satisfactory resistance to general hydrocarbons. We are a preferred name in manufacturing a superior range of Conductive Rubber Sheets that are available in customized width and length specified by our clients. Being highly conductive and shock absorber, these products are widely used in the transformer station, power plant and electricity distributing station. These sheets are packed using Kraft, woven bag and thin films in various lengths and widths as per the requirements of our clients. 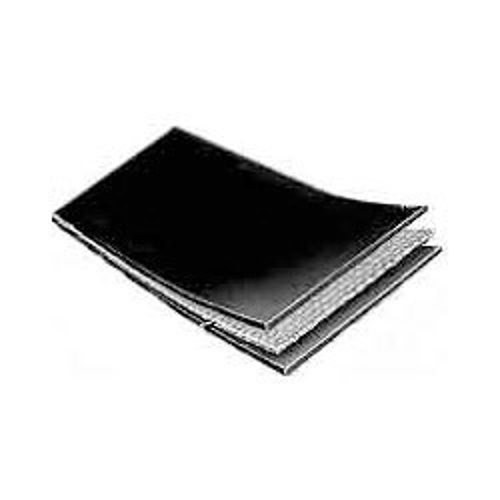 We are manufacturers and suppliers of Diaphragm Rubber Sheets. 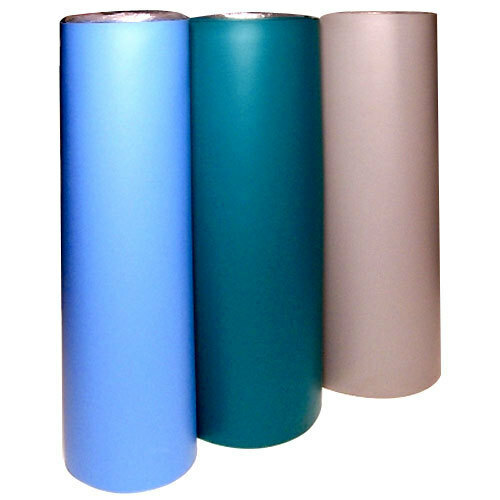 These sheets are suitable for wide variety of applications. The purpose of providing insertion is to provide additional strength to the material in order to make it more pressure proof. Generally no. of insertion can be 1 or 2.However more insertions are available on special requests. We offer a wide range of high-quality Nitrile Rubber Components to our valuable customers. The components, offered by us, are manufactured from high-quality rubber, which is a synthetic rubber copolymer of acrylonitrile (ACN) and butadiene. 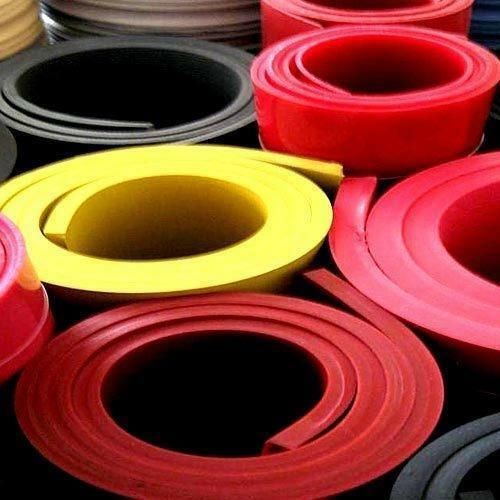 This rubber is widely used for manufacturing various industrial products such as automotive transmission belts, hoses, O rings, gaskets and oil seals. We offer a range of Viton Rubber Sheet that is manufactured using the high-quality raw materials. These raw materials are procured from most trusted vendors and are easily available at an economical price in the market. 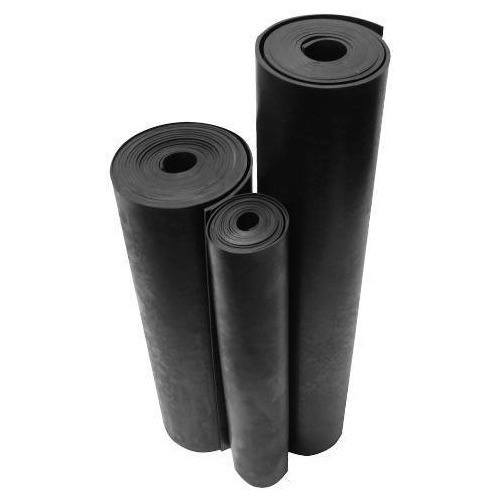 Viton Rubber Sheet has high resistance to heat with a temperature range of -40* C to 250* C. It also possess a good flame resistance and is usually self-extinguishing. Looking for “Natural Rubber Sheets”?